About a quarter of the way through my hour and a half commute, from the rolling hills of the Shenandoah Valley to the traffic congested highways of Northern Virginia, I heard the news from Alexandria. I was concerned, but no one on the radio mentioned fatalities. It sounded like a scare, something to be aware of but not to consume me for the day. Then, when I got to work and checked my phone for the news, the story got worse. A shooter “devastated” by Trump’s election took out his anger on a group of representatives enjoying a game of baseball. The gunman shot a representative in the hip. He was in critical condition. But despite working less than 30 miles away from the city in which this atrocity had occurred, the day continued. My co-workers and I briefly talked about the incident, but we had work to get done, so we got to it. I did my job, left to go home, picked up some food, and drove home to my fiance and an anime. But I didn’t stop thinking about this, and what it means for me as a person and us as a nation. Through all the work tasks, wedding planning, meal prepping, and Handmaid’s Tale-watching, I reflected on guns and the sacred fragility of life and disgruntled citizens and national division and critical conditions. I felt like I needed to make a defense, but I didn’t have one. I didn’t know if sharing my thoughts would be necessary, or if my silence would make me complicit with and approving of such an act of violence. Basically, I dealt with a national crisis the way I imagine most people with anxiety do. It’s an ancient, simple, and heavy prayer, one that cannot make sense of senselessness but can undergird us when the world’s chaos threatens to unseat us. It’s a prayer to pray when anger manifests itself in violence, when we allow divisions to poison us, when we forget that every human being is made in the holy, divine image of God. It’s a prayer to pray when we don’t know how to react out of shock and fear, when we use difficult times to push political agendas instead of offering comfort to those in pain, when we harden our hearts because it all seems like just too much (and sometimes, it really is). It’s a prayer to pray when we go about our days as if nothing has changed because we don’t know what else to do, when the world keeps turning at the same time that it stops dead, when we wonder aloud what the hell we can do to end all of this suffering. It’s a prayer to pray when we isolate ourselves, when we allow our own relationships to decay in the dark instead of bringing our grievances and pain to the light of healing and resurrection, when we do not take care of ourselves. Lord, in all times and circumstances, please, just have mercy on all of us. Sometimes, it’s all I know to ask. Having anxiety can make participating in Lent difficult. My character perfection tendencies go into hyper-drive, and I am in a constant state of wondering just how well I’m doing with this whole “faith” thing. Have I repented? If I have, how will I know? Is giving up Netflix to read books from a few #BlackLivesMatter movement guides going to wake me up for real? Am I good? Am I forgiven? Am I made new? Will Easter be enough for me, my sins, and I? Will this journey be enough for me? I met with my spiritual director Linda this last week. She asked me how my “faith life” is going, which is such a difficult question for me. I’m never quite sure how to answer it, because I’m so anxious and such a perfectionist, I always think it’s not going as well as it could be. So I told her I started meditating in the mornings. I’ve been doing this for a few weeks now, so it’s not really a Lenten practice, but I’ll go out on a limb and assume it’s a part of my “faith life” as much as giving up Netflix and reading books by black writers. But meditation is so hard for me, because my mind is so busy, and honestly, going deeper into myself, the sacred spaces God calls me to examine and dwell in, scares me. What will I find within me? Will there be love and acceptance? Anger and hatred? Firm kindness, or judgment? I was not made in blessing. There is nothing good to which I can return. There is nothing towards which I can keep striving, because I will always have that sinful nature in me, even as I aspire to be holy. The journey becomes tedious, exhausting, and even pointless. If we messed up in Eden, how could we possibly make anything better outside of it? This theology asks: What good are we? What good is God if God made us this way? When we remember we are made in God’s image, when we remind ourselves our original creation was one of blessing and joy, when we remember the unbound, unconditional love God has for us, we remember who we are meant to be. We remember we are made to love God and our brothers, sisters, and non-binary siblings. We are made for more than our worst sins, our cruelest words and deeds, and our most embarrassing moments. We are made in a holy image, and even when this image is smudged, attacked, or hidden beneath our deepest wounds, it remains within us. This original blessing, this uttermost essence of ours, is who we are, and we live life and seek God’s help to not only remember this, but to be this holy image in a painful, beautiful world. This theology asks: How can we return to the good God made inherent in us? How do we continue to live out the Love within us with God’s help? I took this theology to my meditation time the day after our meeting. I sat on a yoga mat in the basement, facing my fiance’s guitars. His area is the tidier spot in the basement. I breathed in and thought of my congressional representative, over whose comments about issues I became so furious. I breathed out and honored the blessing of his creation and the image of God inherent in him. I repeated this process for the President, his cabinet members, and people who drive me crazy on a regular basis. I repeated this process for my fiance, my parents, and my youth group. For good measure, I repeated this process for myself. Meditating on our God-given image changed the way I look at and even engage with people. It also reminds me while I am called to show the perfect love which casts out fear to the people who deny justice and mercy, this same, perfect love doesn’t cast out frustration, sadness, and the need for accountability. Because I honor the image of God in myself, I honor it in others. And because I honor this image of beauty, love, and holiness, which is inherent to every single one of us, I will continue to keep calling out the times I and others act in ways contrary to our holy nature. So I keep praying. I keep remembering the image of God, first in myself, and in others, the ones I adore and the ones I abhor. You are made to love. How are you showing it? Christians talk a lot about the fear of gaining the whole world and losing their souls. Have we ever wondered if we can lose our souls by ignoring the world? Martin Luther’s enabling of common people to be able to read the Bible in their own language and focus on Scripture emboldened the peasants of his time to air their physical grievances with their rulers, resulting in one of the largest rebellions ever. Yet before he ordered the princes to destroy them like “mad dogs,” Martin Luther said the liberation was for their souls, not their bodies. Have we tried so hard to forget the importance of our bodies that we’re threatening to lose our souls? Have we forgotten we are part of Christ’s living Body, and when part of us isn’t well, the rest of us suffers? Have we forgotten our complicity in structures of unjust power, because as long as our “souls” were right with God, everything else would fall into place? This Lent, may we repent of our complicity to physical neglect for the sake of a misguided idea of spiritual preservation. May we remember we are living, fragile, beautiful bodies, made from dust and destined to return to the same dust into which God first breathed life. May we remember our bodies and spirits are intertwined, that our souls are embodied and this flesh is both our struggle and our gift. This Lent, may the Body of Christ remember to take care of her physical needs, the physical bodies which compromise her, or else she will risk losing her soul. Joy can be an evasive little bugger. I know, as the children’s song tells us, it’s down in my heart, but I often think it’s near the very bottom, in the impenetrable depths. I still look for her on a regular basis, though, and I’m not always sure what I’m looking for when it comes to joy. Is joy the same as contentment? Happiness? Excitement? When I find her, do I know right away, or will she slip me by unawares? I know we’ve met and hung out on numerous occasions, but with the nation led by the people in power today, will we meet again? If so, how will I know? I look for joy in the articles, congressional bills, and books I read everyday. I look for her in time spent laughing with my fiance on the couch, planning our wedding, and snuggling with our kitties. I started this blog to reflect on my encounters with joy while dealing with anxiety and in my geeky hobbies and interests. Ironically enough, I’m worried I don’t write enough about the “freaking and geeking” part of my blog and will have to change the name. I even asked about joy at my meeting with my spiritual director on Monday. We sat in her living room, a fire crackling away in the hearth, filling the room with a comforting smokey smell, and talked about my anxiety, wedding planning, and my political activism. We talked about seeds planted by professors and the importance of communication between couples. I told her how I want to go on hikes and reconnect with the world around me, because so much seems disconnected. I told her how standing in the dirt barefoot in my front yard is the closest I’ve felt to the earth in a long time, how I am struggling to look at people as equal in humanity and divinity with me, and how I’m pretty sure this desire and this struggle are connected. We didn’t reach a conclusion about joy at the end of the session. In fact, I only left with more questions, which I’ve learned are frustrating and necessary results of spiritual direction. I know I’m not unhappy. I know I am often content. I also know I am often frustrated, concerned, and active. But at the same time, I am engaged with and interested in the world around me in ways I’ve never been before. I am uncomfortable because I’m listening to the worldviews and life stories I have closed my ears from hearing for so long, but in the discomfort, healing and greater insight are growing. I am frustrated because the people with the most power in this country seem incompetent and uncaring, but I am making my voice heard for the first time in my life regarding these issues and am joined by countless others. I guess you could say I’m finding joy in the pain. I still don’t really know what this says about me, though. I’m unsure if it’s because I’m a drama queen or a glutton for punishment, a white savior or an ally, someone exploiting a movement for her own gain or someone trying her best to make a better world possible. Maybe I’m a bit of all of these, and I’m learning to make better choices despite my initial intentions. I know for sure that I am both overwhelmed with the scope of what we as a nation are facing, and I am feeling so alive in meeting it head on instead of avoiding it. Maybe, for now, this is joy enough for me. 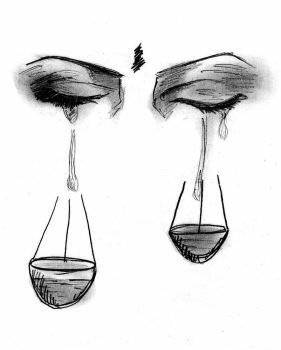 When you mourn from lack of love and justice, let the tears flow. When you cry out to God at your lowest and most abandoned, let the tears flow. And when your grief and pain are beyond expression, let the groanings of the Spirit weep for you. When you’re frustrated because people cannot understand why “All Lives Matter” isn’t enough, let the tears flow. When you don’t know how to explain oppression to oppressors when they refuse to acknowledge its existence, let the tears flow. When you sit at another family gathering where someone you love and admire demonizes a people group, let the tears flow. When you march for the lives and voices of women, black and brown brothers and sisters, our LGBTQ+ family, refugees, Muslims, and all the company of the oppressed who are also the company of God, let the tears flow. When you walk the path of justice, mercy, and humility, let the tears flow. Because there might only be mustard seeds on that path, but they will grow into mighty, intrusive bushes which house the previously unwelcome, and they will be watered by our nourishing tears. When we allow ourselves to open up to the plight of those the world deems “less than,” when we allow ourselves to hear the pain of their stories, when we allow our hearts to be broken by the injustices they have faced, when we move out of the way and let them share their stories of trials and trepidation to those that would silence them, then all of our tears will be ripe with the nourishment it takes to get those seeds out of the fertile, expectant ground. The seeds are sowed, the harvest will plentiful when it comes, so let the tears fall and do their work. In a recent post, I described a severe morning panic attack I experienced over a month ago. A week after that attack, I was in Harrisonburg returning a book to the local library for perhaps the last time, and internally, I was mourning the loss. At this point, I had lived in Edinburg, a middle-of-nowhere country town about 40 minutes away, for almost 2 months, and I continued to mourn both my move away from the town I called home for the past 4 years and my graduation from seminary. I also continued to live into the transition of the new joys of my engagement to Bryce and a new job as a church secretary. Here I was in front of my beloved Harrisonburg library, realizing I would probably never check out books from it again, and I felt the deepness of this loss weighing upon me with all of the others. So as I walked away from the library, mourning the loss of my past home and fearing what the future held, I once again cried out to God, and once again, it contained a lot of frustration. Excuse you, God, but why does everything feel uncertain and scary? I want you to tell me that everything will be OK.
Actually, no…I want more than that. I want you to guarantee that everything will be more than OK. I want everything to be perfect, because if it’s not, then it’s wrong. I thought if I followed you, things would go well for me, but I’m beginning to realize this was never part of the promise, and that irks me. So where is the happiness and the guarantee for things to go well? Why won’t you promise me that much? Believe it or not, I got an answer, but it wasn’t one I liked. There is no guarantee for things to be perfect, because I have called you to die, and you continue to see death and dying as imperfect and wrong. You continue to cling to the hopes, dreams, fears, and failures to which I call you to die every day. 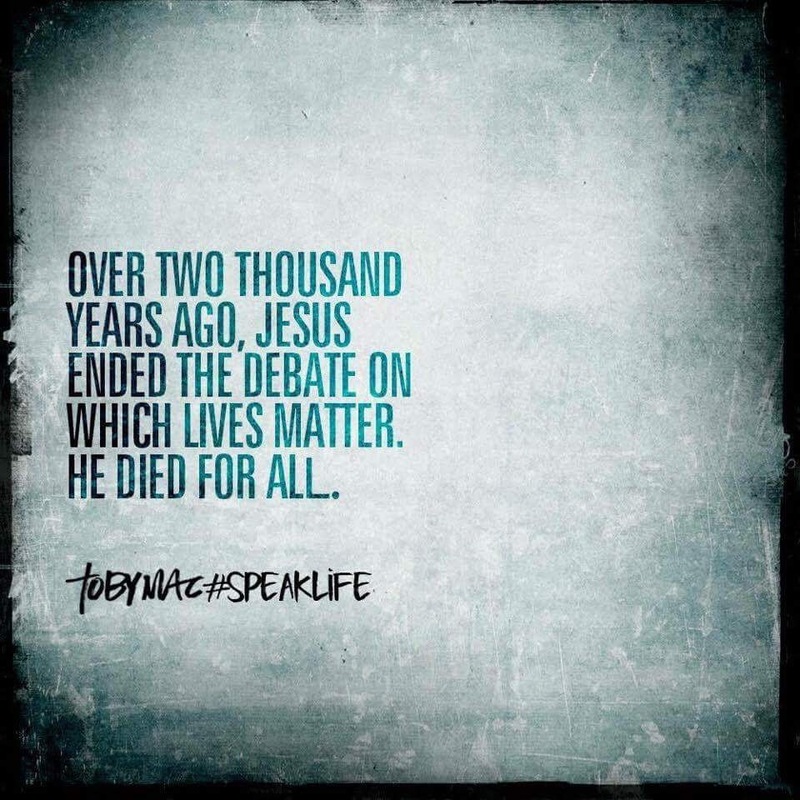 I have called you to die in order to enter everlasting life, but I didn’t say this life would be easier. Those deaths will lead you to life, but not the one you expected. You have to learn to die in order to live, to let go of your enslavement to your own expectations in order to live into the beautiful, terrible reality that is real human life. Here it was: the call to let go and learn to open my arms and let life be what it is. This is a call to die to my desire to be perfect, my desire to be God, and my seeming need to control my life and the lives of others. I know it is so very necessary, and I also know it is so very difficult. This is where church actually helps me, though. As Christ has died, so must I die. As Christ has risen, so will I rise. As Christ is returning to us, so will I return to this life and the life to come. Thanks be to you, God. Now please, help me be a bit more OK with this. Three and a half years ago, I shared about my almost-nonexistent prayer life. I talked about how it’s hard for me to pray while in a perpetual state of doubt as to who, if anyone, is listening. More than that, I shared my fear of being transformed, challenged, and changed in the act of prayer. In short, I fear the intimacy it calls me to experience. After this summer, though, my prayer life changed in dramatic ways. It changed, because I finally decided to stop trying to save the world. Back in June, I went to a vigil to honor the victims of the Orlando nightclub shooting. The participants met in front of the circuit court building as a summer storm brewed in the distance. I saw a few people I knew, but they were with their own friends and families, whereas I had come on my own. There was a group prayer and a few speakers. But in the midst of all of this, I felt a deep loneliness. I felt no fire in my bones, even though the circumstances under which we were gathered caused me great grief. The speakers’ words, meant for empowerment, encouragement, and action, went in one ear and out the other. An oncoming storm threatened to crash the party, so while a good number persevered through the rest of the event, I slipped out. I got into my car, and as I drove home through the torrential storm, I wept. I cried tears of exhaustion, with myself and the world around me. I wept, because I went to the vigil seeking empowerment to save the world, but all I found was the same message I had heard elsewhere: those people are bad, we are good, and if we could just do this, then everything would be OK. The meeting had an agenda, and my grief wasn’t part of it. I only saw a need to control the world out of deep fear and anger, and it finally sank in that this was not enough. So in the car on the way home, I decided to give up on saving the world. Instead, I decided I would start praying again. At the time of this vigil, I was halfway through a couple of courses on spiritual formation, which involved group and individual prayer and spiritual direction every day. A different student or professor would lead worship each morning, and we concluded our day with examen, in which we reflected on how we noticed God’s presence in the day. I took a class on spiritual direction, which involved both giving and receiving direction with my classmates. I took a class on worship and how it must be handled with care and joy when teaching a congregation how to do it well. We went on a retreat soon after I experienced an intense weekend of anxiety, and the practices I engaged began healing my wounded and weary soul. Initially, re-engaging with prayer was exciting and life-giving. But as I continued, I realized that in the act of praying, I do something I fear and hate: I submit. As a female leader, men and women alike threw this word at me like a weapon, demanding that I remain subordinate and let the men do the hard work. But this isn’t the submission to which I am referring. I realized when I pray, I submit my desire to be God. I want the control that prayer calls me to relinquish. When I meditate, I allow myself to relax into God’s presence, which requires me to let go of my desire to control the experience. When I pray the morning prayer from my Book of Common Prayer, I ask for God’s will to be done, not my own. Every practice of prayer is an act of surrender to God. But I don’t want God to be in charge, because I don’t always trust that God knows what’s best for me or the world. God seems too slow to bring about the change and growth that need to happen now. This might be considered blasphemous, but I doubt I’m the only one who does this. I keep trying to pray, though, and do what I can to push through all the resistance I put in my way. I do this not to earn points with God, but because I know how much I want control everything and how little control I ever have. I can’t control people or most of my circumstances. I can’t control the students in my Sunday School class, my family, my friends, or the weather. I can’t control the election, the Church, or the decisions made in those contexts. Some days, I feel as if it’s hard to even control myself in the midst of my obnoxious, intrusive thoughts. But when I pray, I remember that I am a creature, not the Creator. I am a creature with my own flaws and failures, strengths and beauties, and as I am, I am enough for what is before me. When I remember that I am a creature, I can stop trying to be the Creator. I can, day by day, word by word, breath by breath, begin relinquishing the control that was never mine to have. I continue to pray, and as I do, I hand the fruit of knowledge back to God and even let God touch it. I still hold onto it, though. It’s a work in progress, and I’m trusting that there will be grace enough for the journey. I’m going to need it.